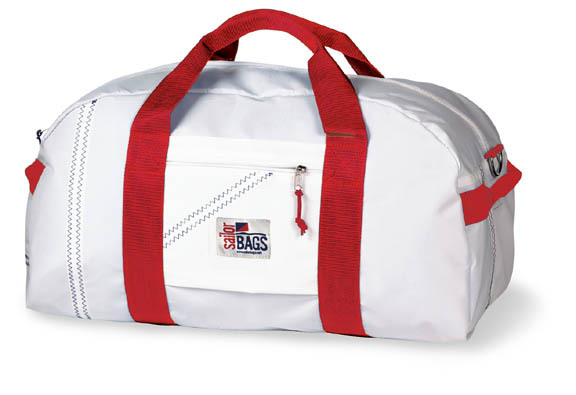 This Large Square Sailcloth Duffel bag is a big bag that can easily hold a week's worth of clothes. Two of them will hold all of your clothing, snorkeling and rain gear for a week-long charter - even if you pack extra heavy! Like the Extra Large Square Duffel, it has plenty of interior pockets, and one on the outside, too. You may have your sailcloth bag embroidered with one or two lines, up to 18 characters per line. Monogram will match the trim color. Please specify in "Special Instructions" box at checkout. Please allow up to 5 days additional delivery time when adding embroidery. Ships FedEx or UPS ground. Eligible for return with 15% restocking fee. Please view our return policy for details.